VL Elena 104/4 is a shining example of Santa Elena’s donors program and is an excellent producer. 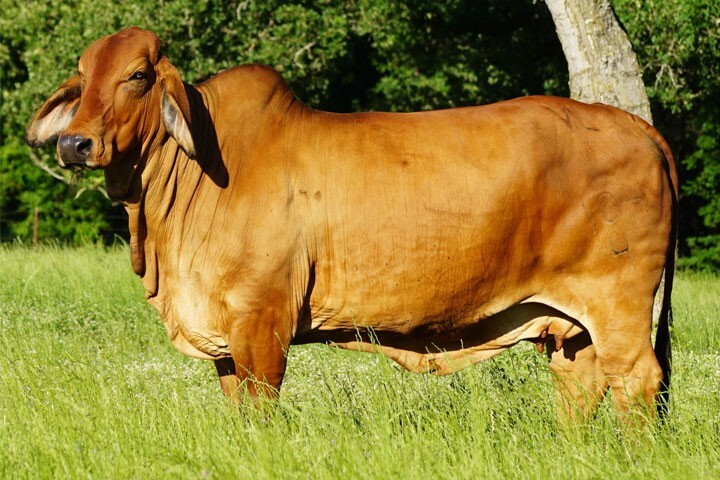 She is an outcross bloodline to many of our typical sire lines and cow families. She is sired by LB MR. WINDSOR MANSO, a +MR 3X He’s Got the Look 40/2 son and past red herd bull for John Coleman Lock. Her dam is a daughter of VL Rojo Grande 4/45, an International Grand Champion Bull. VL Elena 104/4 is a favorite of many who visit the ranch. You can’t help but notice her beautiful feminine appearance, her length of body, strong top and breed character.